When Is Skunk Mating Season? Skunks are members of the weasel family of animals, with short, stocky legs and large, clawed feet for digging. Four species of skunk can be found in North America: the hooded skunk, the hog-nosed skunk, the spotted skunk and the striped skunk. Mating habits vary slightly based on the age of the female, but as a general rule the skunk mating season ranges from February through March annually. Although they do not hibernate like other animals, skunks are less active during the winter and stay in their dens. A skunk den is a burrow found just beneath the ground and may even be concealed under buildings, porches, brush or lumber piles, or sometimes skunks will take over the abandoned burrows of other animals. Skunks are nocturnal animals, so they head out at night to find their food. When February rolls around, males will begin looking for females for breeding. 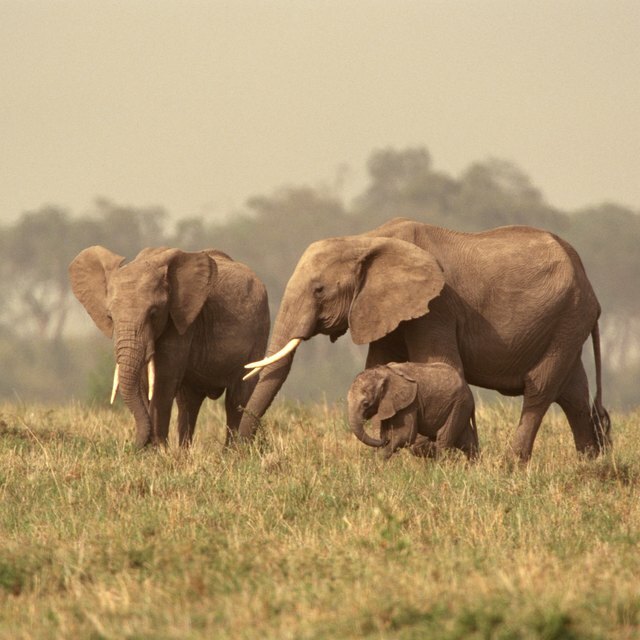 They will travel up to five miles during mating season but generally travel only a mile or two. When a litter of kittens will be born depends on when the mother was born and the harshness of the winter in the area. Milder winter will bring out males in early February. Harsher winter may postpone the emergence of males a few weeks toward March. Yearling female skunks that were born during the last year will not be ready to mate in February; yearlings wait until March or April before they will accept a mate. Females who are not interested in mating will spray the male to let him know to get away. Baby skunks are born in litters of one to fifteen kittens; the skunk gestation period is 60 to 75 days. Kittens conceived at the beginning of the mating cycle by older skunks in February will be born between by the beginning of May. Kittens born to yearling mothers conceived in April will be born at the end of June. After mating, male skunks have little to do with the protection, feeding and rearing of young skunks. Rearing litters of kittens is entirely up to the female. Mother skunks will rear their litters in their dens. Although skunks are not generally aggressive animals, they will become aggressive if they feel their litters are in danger, and will spray anything they see as a threat. Skunks give warning signs before spraying like stamping their front feet, raising their tail, hissing, and forward charges. 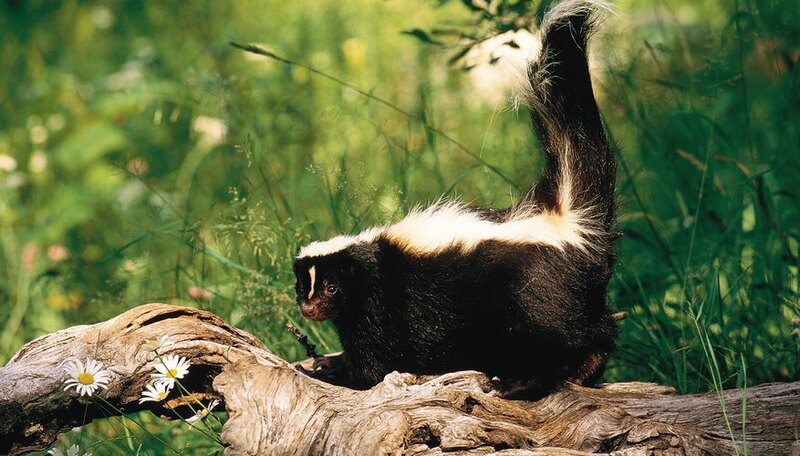 The most prevalent warning of a skunk that's about to let loose is twisting its hind end in the direction of whom or what it is threatening to spray. Francis, Daniel. "When Is Skunk Mating Season?" Sciencing, https://sciencing.com/skunk-mating-season-8734946.html. 25 July 2018.